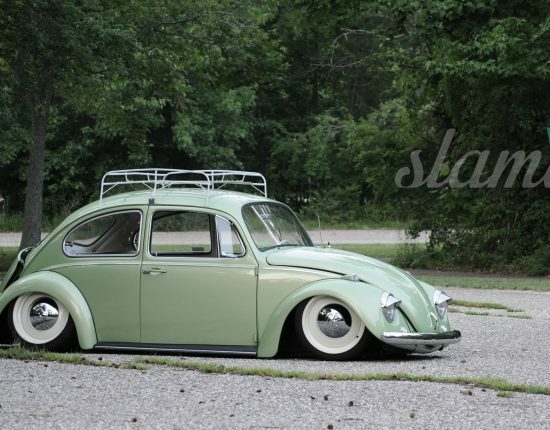 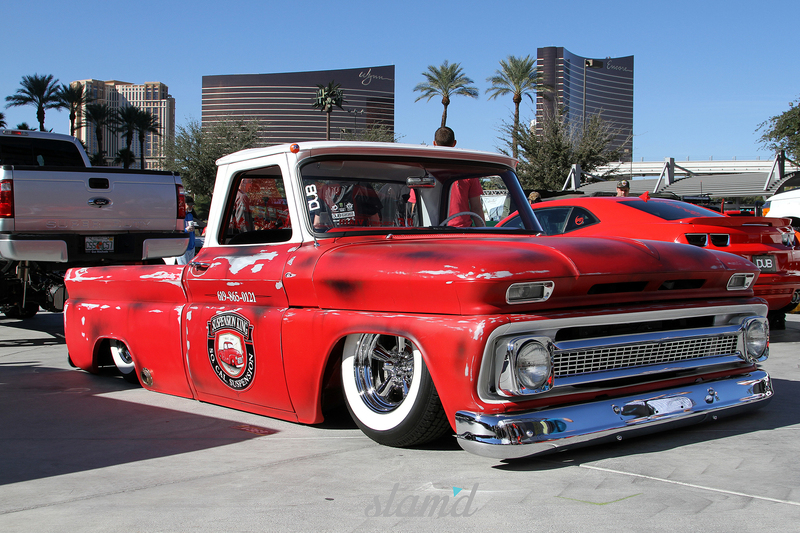 Kicking off our Slam’d SEMA Top Picks list is none other than Mary Jane. 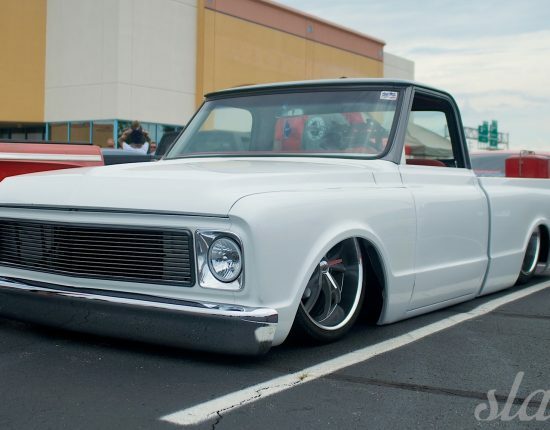 Built atop a full tube chassis by The Choppin Block, this 1970 Blazer owned by Justin Carrillo is absolutely stunning headlight to taillight. 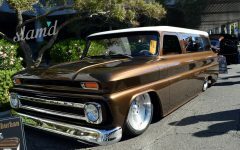 Built by Designs by Darryl, hours of custom sheet metal work when into this classic Chevy truck, with features like raised bed sides, a front windshield that’s been laid back 2 ½ inches and a beautiful deep black paint job by Lewis Milinich Body Shop, just to name a few. 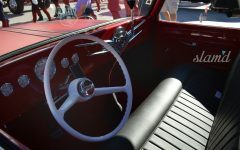 This stellar combination is set off by the custom red leather interior with custom sheet metal, a ’59 Chevy Impala dash, Dakota Digital gauges and a one-off ididit steering column. 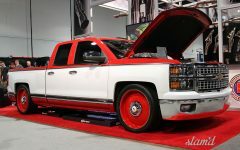 Powering the truck is a 5.3L LS3 fuel-injected motor backed by a GM 4L60 automatic transmission. 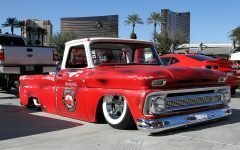 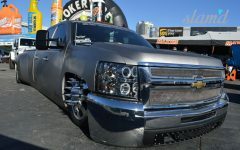 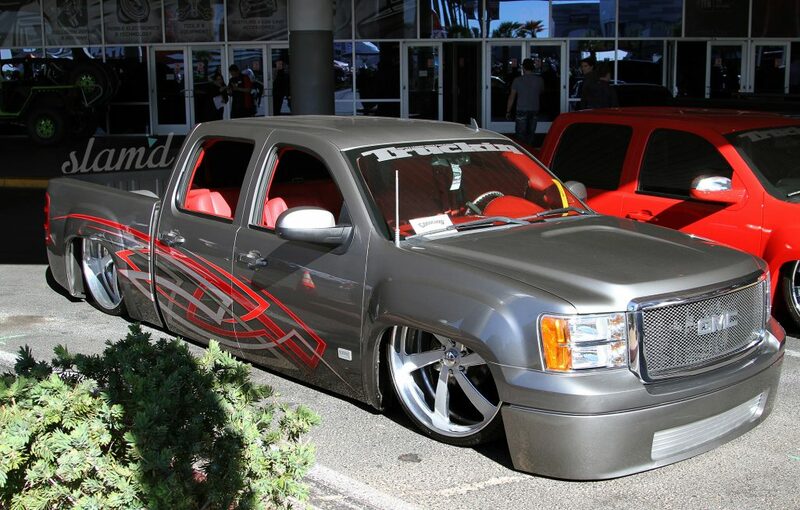 The truck is slammed to the ground using Slam Specialties ‘bags and Viair compressors, sitting the truck down atop 24×9.5-inch front and 24×12-inch rear Raceline wheels wrapped in Toyo rubber. 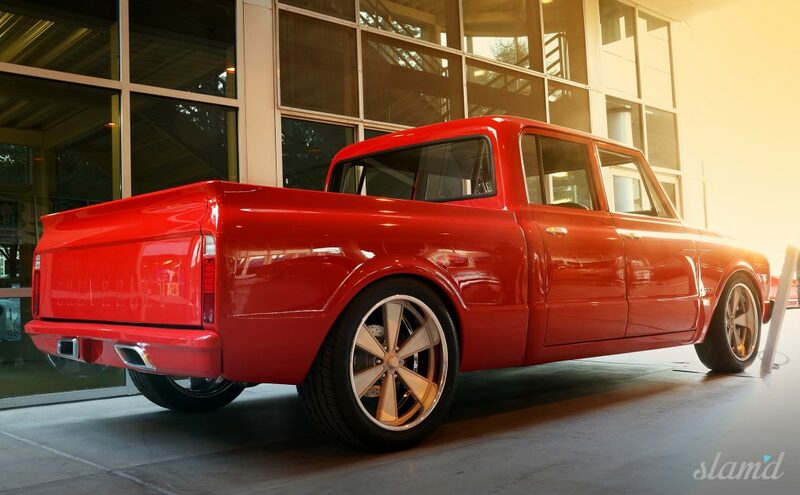 We could go on and on about this incredible Blazer, but we’ll just let the photos do the rest of the talking. 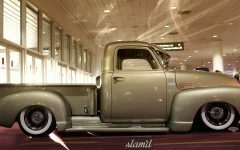 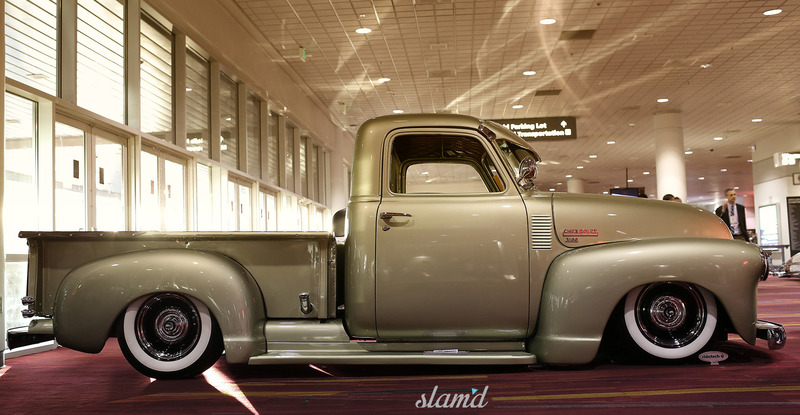 Valerie and Adrian Garcia’s 1949 Chevy was our Slam’d Magazine / Royal Purple SEMA Show contest winner giving them all-access to their first ever SEMA Show experience. 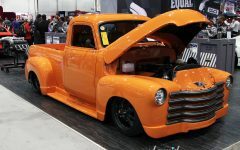 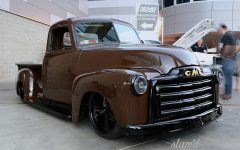 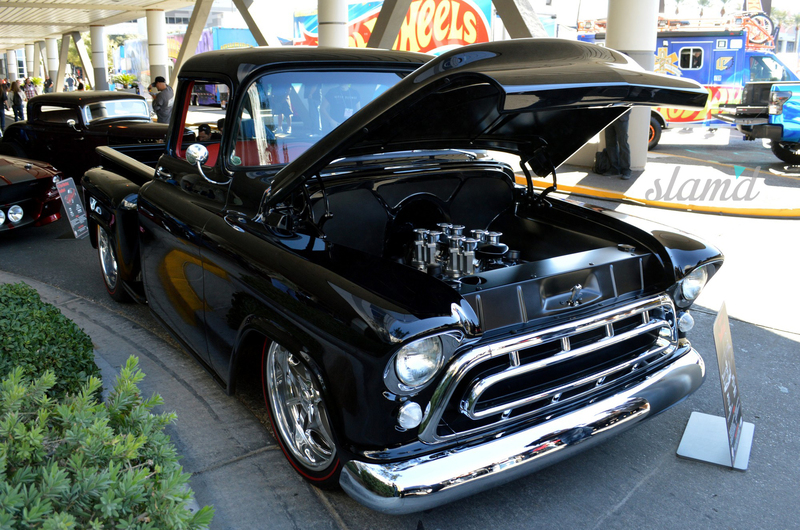 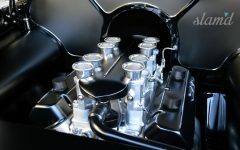 Built by Valerie’s husband Adrian, the ’49 Chevy pickup features a 1974 Chevy 250ci inline-six with an Offenhauser intake, dual Carter 2-barrel carbs. 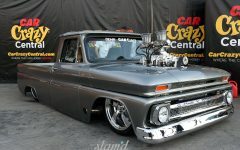 This power plant is backed by a Saginaw 3-speed tied to a Chevy 10-bolt rearend with 3.73 gears. 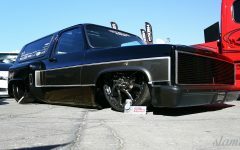 Under the truck, you’ll find a modified stock chassis supporting a Scott’s Hot Rod Shop Superslam IFS and rear 4-link, Slam Specialties air springs, and a Ridetech RidePro E3 control unit. 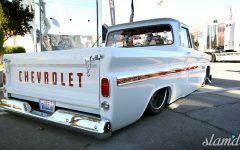 Other stellar components on the truck include Wilwood discs up front and 15×7-inch Wheelsmith smoothies wrapped in Coker rubber. 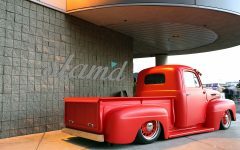 Much more than performance and good looks, the truck has sentimental value to Valerie as her father originally owned the truck and they now cruise it in his memory. 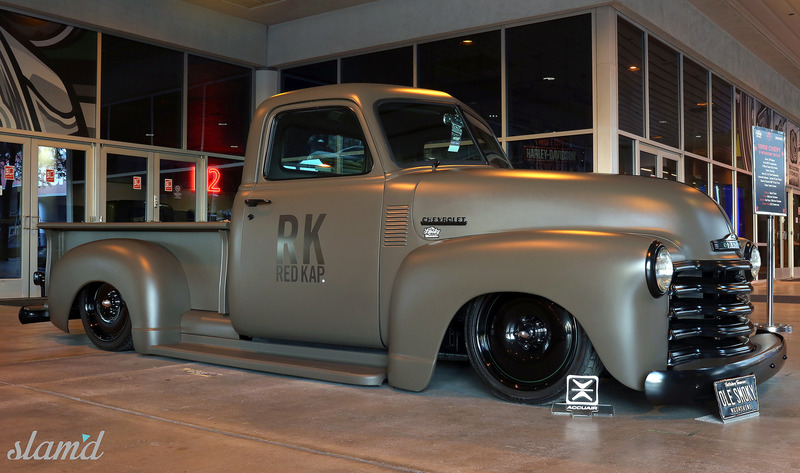 Built by Mike Goldman Customs of Meridian, Mississippi and owned by Georgian Gary Brown, this fittingly named Chevy pickup is as clean as they come. 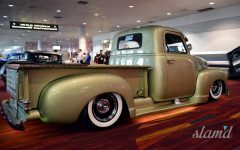 Massaged, but just the right amount, the truck gets its good looks from classic Chevy styling as well as fabricated one-piece smoothed and tucked bumpers, hand-built engine bay panels, a modified tailgate and bed, and custom belly pans. Of course, the truck’s deep black paint scheme also adds to the classic look while setting it apart with all of the custom subtle detailing. 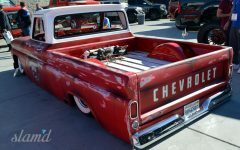 Sat atop a modified Roadster Shop chassis with a Kugel independent rear suspension, the truck is powered by a Corvette ZL1 454ci engine (see where the truck’s name came from?) 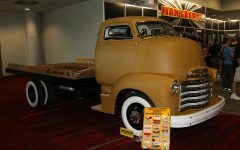 with Imagine injection and stacks, while gear to gear shifting is taken care of by a Richmond 5-speed transmission. Continuing the Corvette theme is a custom C2 Corvette interior complete with Vintage air cooling and instrumentation from Classic Instruments to round out one of the nicest trucks we’ve seen to date. 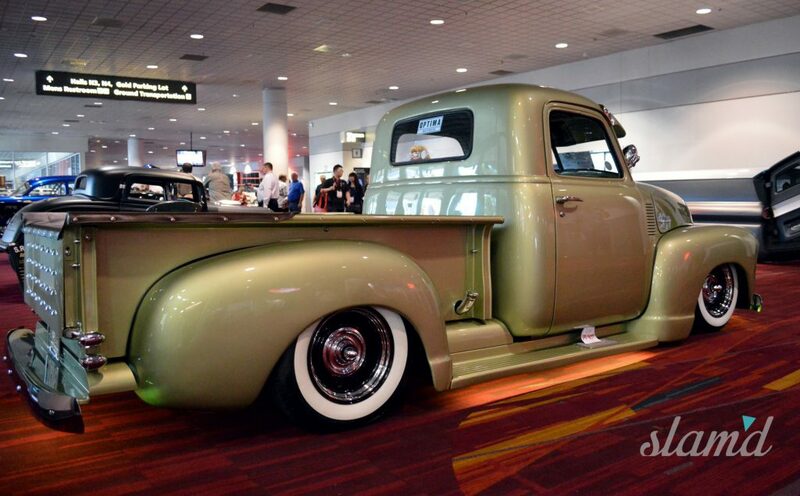 It seems that every year there is always at least one truck to really stir things up. 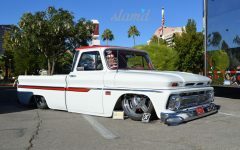 This year Mark & Crystal Zarate took top honors with the “Don’t Care” award and proved a lot of people wrong with such an amazing minitruck build. 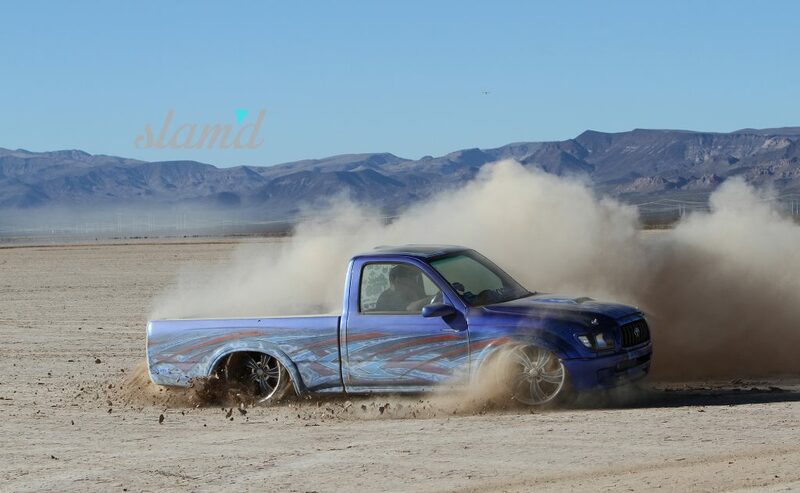 Breaking all the rules, this is a “home-built” Tacoma with a massive 490hp LS2 under the hood! 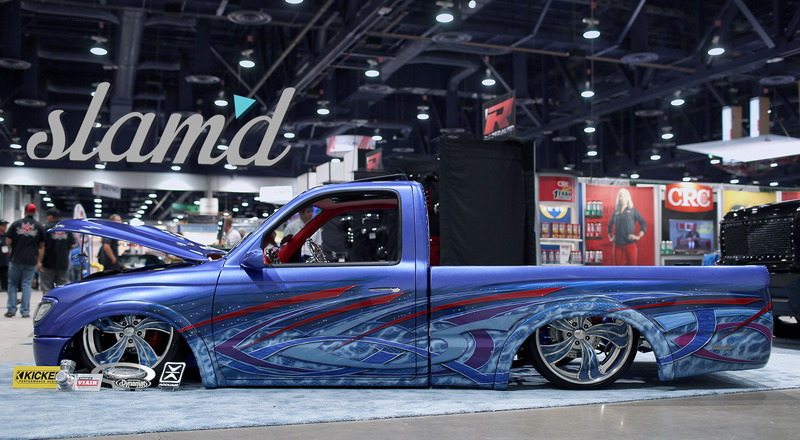 And if that wasn’t enough, Taco Supreme sits flat tucking the massive 20×8.5 and 20×12-inch Intros thanks to a custom air suspension and body drop built by the owner in his home garage. 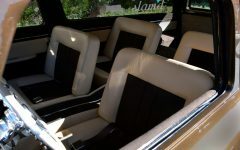 Also a full custom interior sports one-off righthand drive, Dakota Digital gauges, and a complete Kicker Audio stereo system that can easily be heard over the roar of the LS engine. 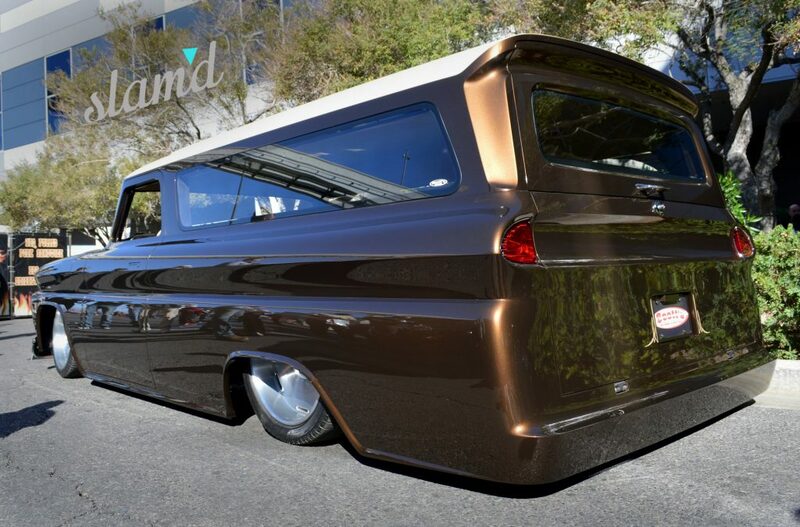 To top it all off, this radical mini performs as well as it looks and during our feature shoot Mark proved it by running rampant on the dry lake beds and causing a bit of ruckus, living up to the Severed Ties truck club name and shutting down the internet as the video quickly went viral. 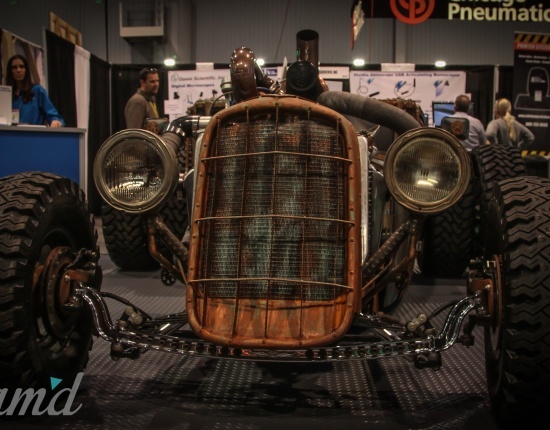 Stay tuned for more on this amazing build! 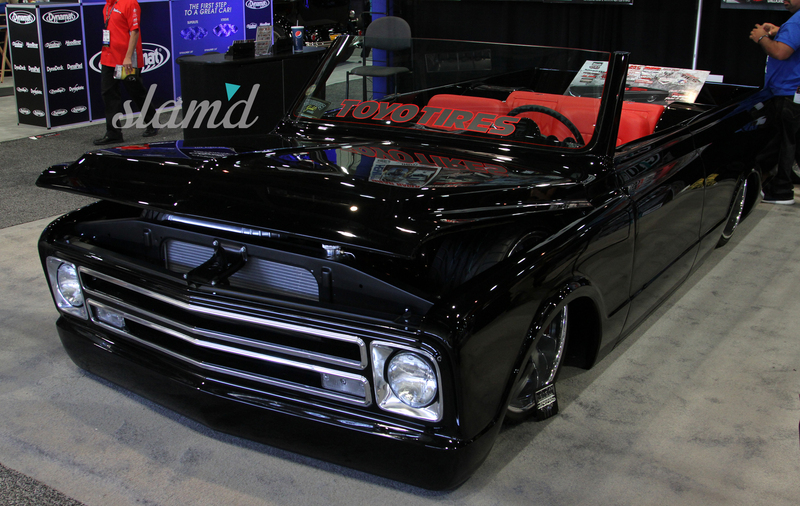 Rounding out our top truck picks is this super custom ’73 Ford F100 built by High Octane Hot Rods as this year’s Vortech Superchargers booth vehicle. 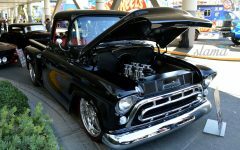 Owned by Jason Jones of On the Ground Designs, it features a 5.0L Ford Coyote engine with a Boss intake and Vortech supercharger. 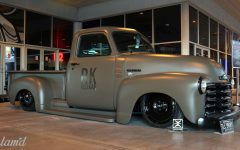 Keeping the truck planted to the ground are the massive B-Forged 595 wheels in 22×9-inch and 24×14-inch custom offsets wrapped in 265/30/22 Pirelli P Zero Nero tires in the front and 405/25/24 tires in the back. 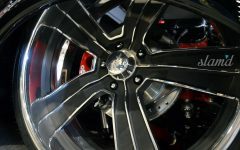 Braking power comes compliments of 6-piston Wilwood brakes with 14-inch rotors in the front and 4-piston Wilwoods with 14-inch rotors in the rear. 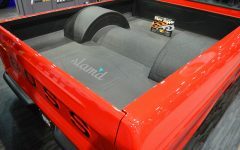 Putting the finishing touches on the truck are miscellaneous pieces from LMC truck, a custom interior designed by Sew it Seams in Pittsburgh, Pennsylvania, and a PPG Audi RS4 Red Volker paint job. 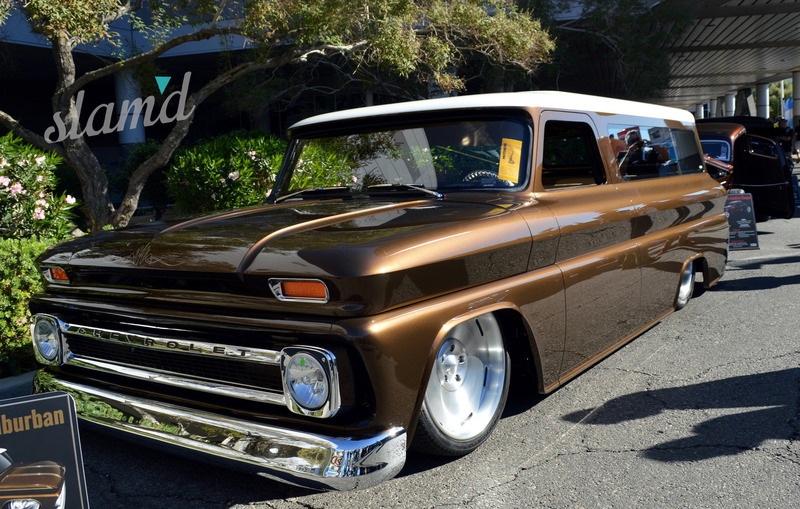 Another real looker from the show was this classic Suburban owned by Rene Hagen. 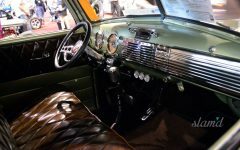 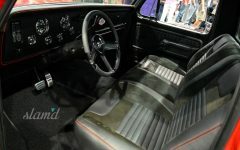 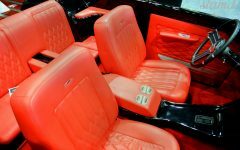 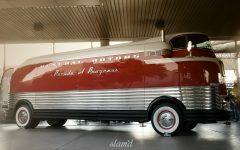 Built by Scott’s Hot Rods, the early SUV features over 100 body modifications as well as a unique Black Alcantara / Brown Terracotta leather interior hand-crafted by Ron Mangus. 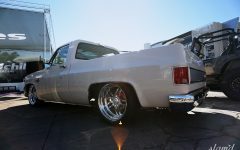 Powering the family hauler is a 468ci Chevy big block full roller motor backed by a Turbo 400 transmission and Moser 9-inch rearend for easy driving. 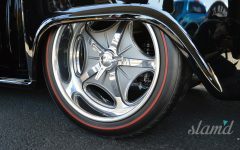 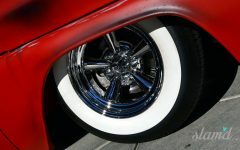 Custom one-off Hot Rods by Boyd wheels help put the engine’s power to the pavement while Wilwood brakes stop the SUV in its tracks. 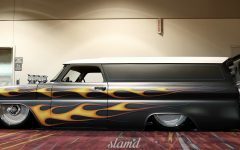 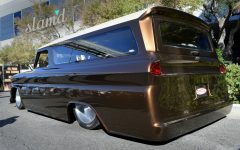 The Chevy’s epic stance comes from a custom setup designed by Scott’s while Macadamia Metallic Brown paint sprayed by Palmer’s Customs gives the SUV that little extra oomph that certainly caught our attention at the show, separating it from the crowd.